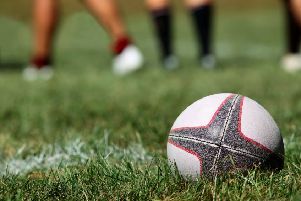 Sheffield Tigers stayed top in National Three (North) with an eight-try, 53-24 victory at Birkenhead Park, but Sheffield slipped off the pace as Hull came from behind for a 23-19 win at Abbeydale. Tigers got most of the points under their belt before half time, including a debut try from former Wheatley Hills winger James Montgomery, who went on to add another. Jamie Broadley on the other wing scored the opener, with Mark Ireland converting as well as adding a penalty goal, and Ireland also converted two tries by full-back Peter Swatkins as well as Montgomery’s first. Hull’s win at Abbeydale Park put them up to second place behind Tigers. Sheffield turned round 13-6 ahead with the only try of the first half from centre Lee Sanders, No 8 Jonny France converting and adding two penalty goals, but Sheffield could manage only two more France penalties in the second half as Hull intercepted on their own line and took play down the field for Fijiian centre Tomasi Tanumi to score. In North One East, Dinnington triumphed 26-17 over Wheatley Hills in their South Yorkshire derby clash at Lodge Lane. Dinnington were quick off the mark with tries by second row Michael Leitch and flanker Jalan Farris, the former converted by Jonny West to put the hosts 12-0 ahead by half time. Wheatley had the better of the second half but Dinnington kept on top with further tries by West and Farris, both converted by West. In Yorkshire Two, Wath on Dearne held leaders West Leeds 12-12 at Moor Road and were unlucky not to score a surprise win after scoring the only two tries. Joe Bartlett and Joe Earp were Wath’s try scorers, with Adam West converting one. Barnsley moved ahead of Wath with a bonus-winning 34-16 win at Old Rishworthians. Barnsley had tries from Joe South 2, Will Smith, Andrew Appleyard and 17-year-old Arran Foye.